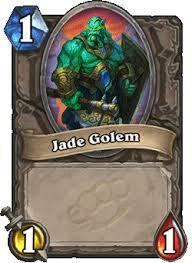 I think this guy (or girl) could introduce a fun little bit of extra variance into the game...I suppose I'll see...! 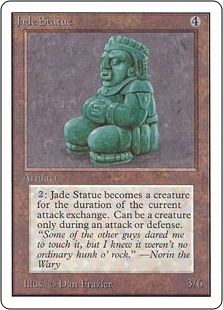 So I guess there's something about jade. That comes to life. Seems cool to me. 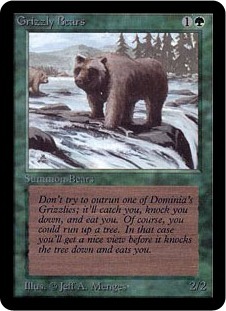 This original 2/2 for 2 mana has become so iconic that Magic creatures in general that match those stats and cost are referred to as "bears." So, ah...I guess that's all on today's ursine offering. I appreciate your taking the time to read this...and hope you'll stop by tomorrow for another Monster...! 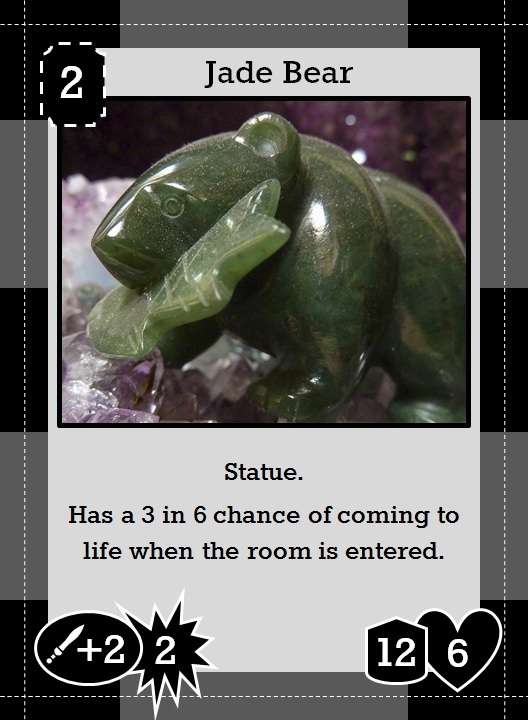 Jade is one of those things that will always be compelling to folks. I'm not sure why, other than a historic fascination. 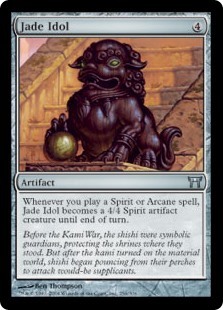 Interesting to hear how "bear" has evolved in the game of Magic to be something bigger. Y'know, I can remember as a kid, going with my family to one of those fake "gem mining" places where you get to sift through a bucket of mud and find cheap rocks they've planted, and there really was something about the ones we THOUGHT were jade that especially appealed to me. Might be interesting to look more into what the historic fascination is based on! Big thanks for stopping by and commenting! This is a fun addition to the set. I like the random nature of it.